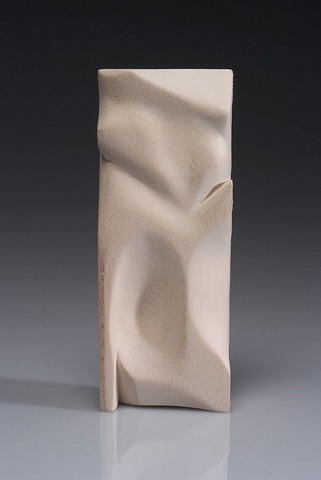 6 1/2 x 2 1/2 x 1"
These rectangles were carved as high relief to be viewed from the front 180 degrees. They can be mounted and framed. 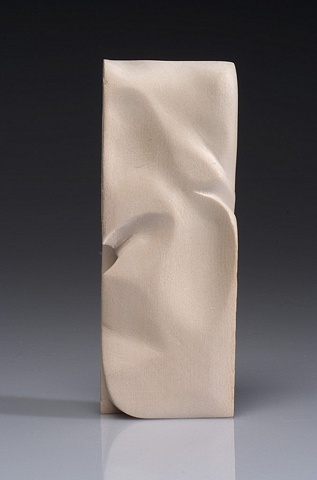 Carved from basswood, these sculptures explore the subtle abstraction of wood grain and the contrast between sanded and unfinished wood. The sculptures appear as pure shapes when seen directly from the front or back. 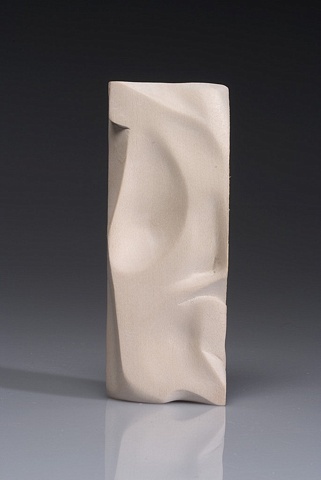 The familiar shape slowly alters into abstraction as the point of view changes. This series studies that shift of perception. 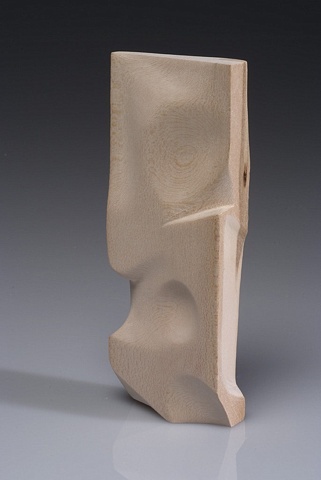 The forms and shapes of these carvings are drawn from detailed views of my earlier figurative sculpture. 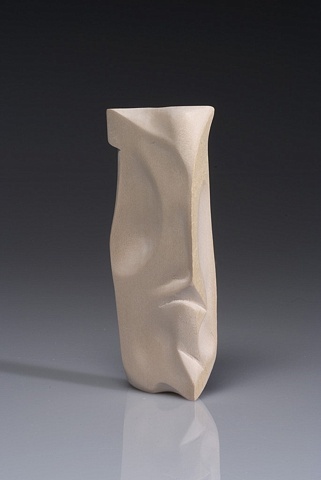 I find these forms are difficult to emphasize within a strong figurative context because the viewer identifies with the human figure and does not concentrate on the motion within the piece. The subtle transitions and contrasting spaces are highlighted by this minimalist form. 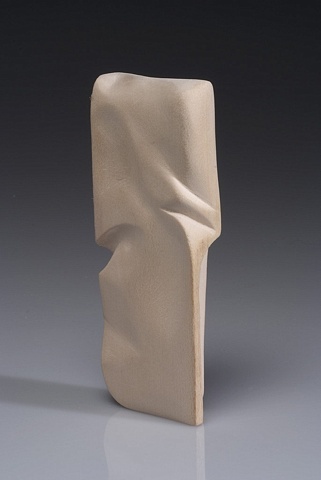 By hand-sanding each piece, I have become aware of the tactile expression of the sculpture. When I begin the wood is rough and unfinished. I have intentionally kept elements of the crosscut wood to give contrast to the finished sanded work. 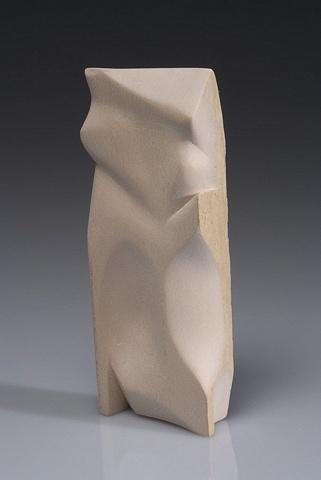 One of the indicators of whether the carving is complete is to hold the piece without looking at it. 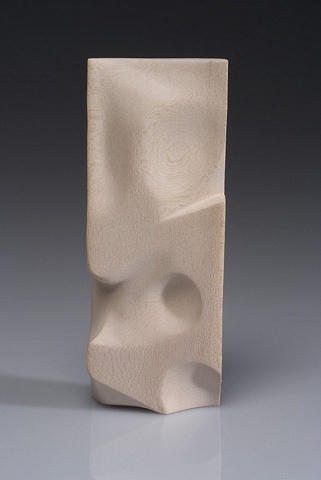 The sculpture feels finished, and feeling the forms of the piece has a calming effect. 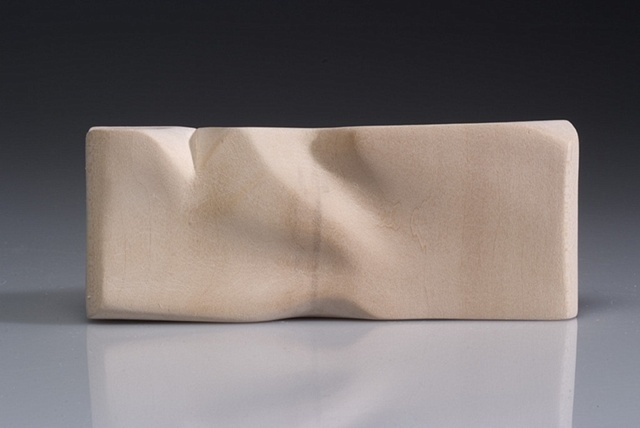 Carved from basswood, these sculptures explore the subtle abstraction of wood grain and the contrast between sanded and unfinished wood.